Founded by Graham McCallum and Ricky Churchill (whose Kemistry agency was based upstairs), the Kemistry programme was a quirky mix of of design and graphic art. There were design legends as well as relative unknowns, some of whom have shot to subsequent fame and acclaim, including Jean Jullien, Eine and Malika Favre. There were also exhibitions about Typographica magazine (curated by Eye’s founding editor Rick Poynor), about pioneers of TV titles and about less familiar designers, such as Jerzy Treutler and Fredun Shapur. Over the years, the Eye blog has reported on many of the gallery’s exhibitions – see ‘Playing with the logo’ (Ken Garland), ‘Seymour and Milton’ (Chwast and Glaser) and ‘Neighbourhood watch’ (Jean Jullien). 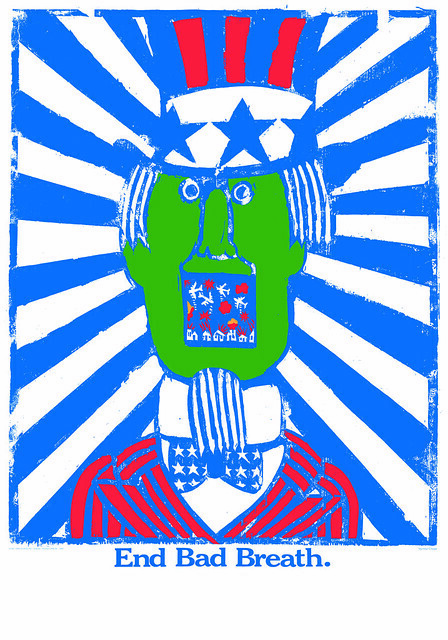 Seymour Chwast, End Bad Breath, 1967. 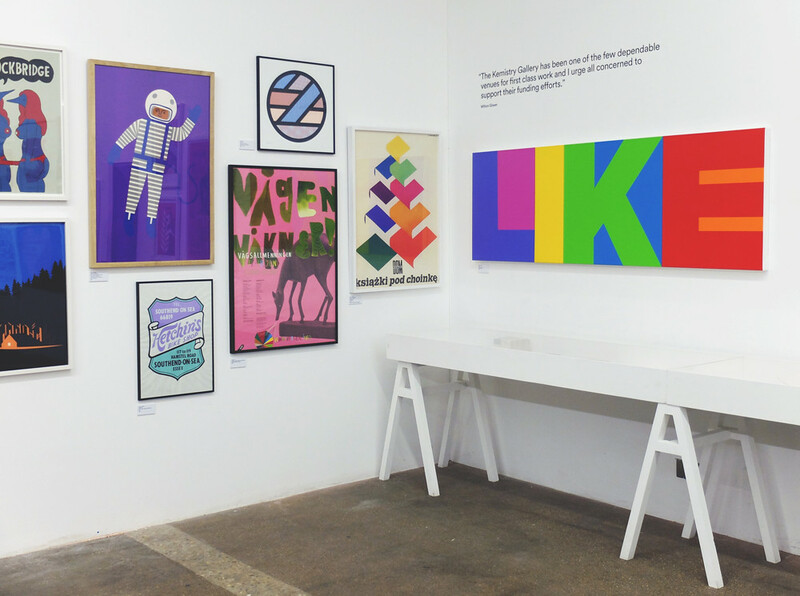 Top: Exhibited work by Parra, Fredun Shapur, Rob Lowe, Yokoland and James Joyce. At the end of 2014, McCallum and Churchill were obliged to leave their old place and they launched a #SaveKemistry Kickstarter (and raised a matching Arts Council grant) to help the gallery find a new, permanent home. 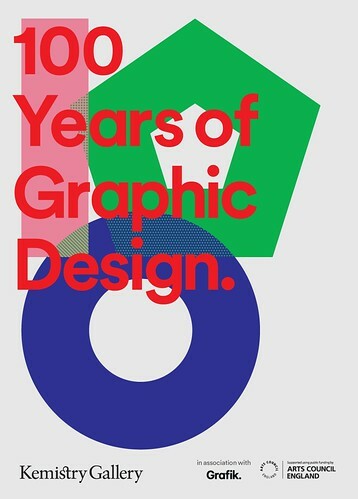 Kemistry’s current pop-up exhibition ‘100 Years of Graphic Design’ at Protein Studios is part of their ongoing fund-raising campaign, and a chance to look back at the gallery’s ‘greatest hits’. A series of three, sold-out talks in the gallery (including one about Robert Green’s rediscovery of the Doves Type chaired by Eye editor John L. Walters) attracted enthusiastic responses. 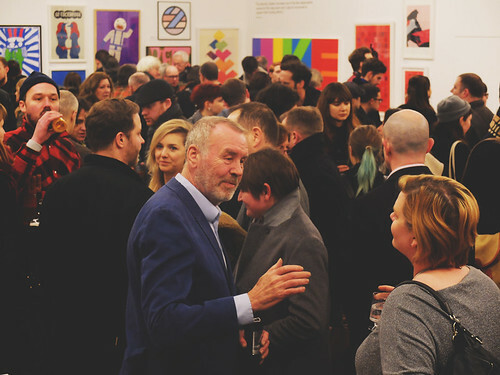 The show, which closes on Sunday 15 March 2015, includes works by Alan Fletcher, Hans Hillman, Ken Garland, Lou Dorfsman, Seymour Chwast and Milton Glaser, Saul Bass, Anthony Burrill, James Joyce, Jean Jullien, Geoff McFetridge, Parra, Rob Lowe, Ryan Todd, Stefan Glerum, Zero Per Zero, Experimental Jetset and Geneviève Gauckler as well as posters for OSPAAL and 1960s Polish cinema. 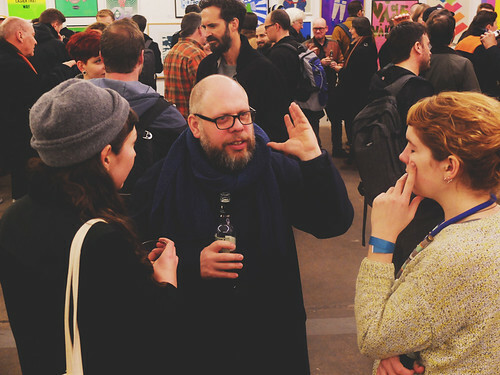 The private view of ‘100 Years of Graphic Design’. Centre foreground: Kemistry Gallery co-founder Graham McCallum. 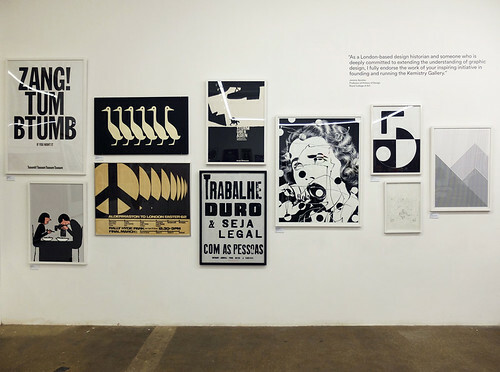 Exhibited works by Macdonald Gill, Experimental Jetset, Jean Jullien, Ryan Todd, Ken Garland, Hans Hillman and Anthony Burrill, among others. 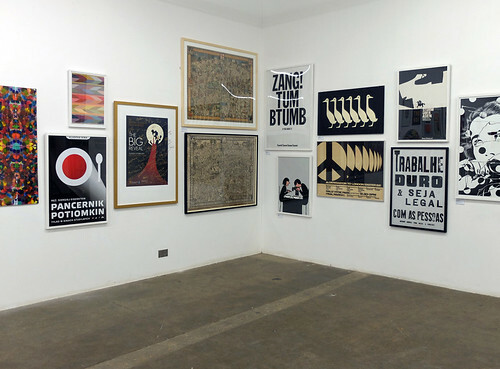 Exhibited works (left to right) by Experimental Jetset, Jean Jullien, Ryan Todd, Ken Garland, Hans Hillman and Anthony Burrill, among others. 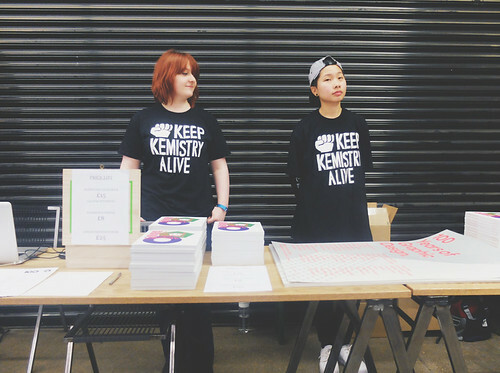 A book and poster are for sale at the exhibition in aid of Kemistry’s campaign for a permanent home in which to display design and graphic art. Final opening times are: today until 6pm. at Protein Studios, 31 New Inn Yard, London EC2A 3EY, UK.